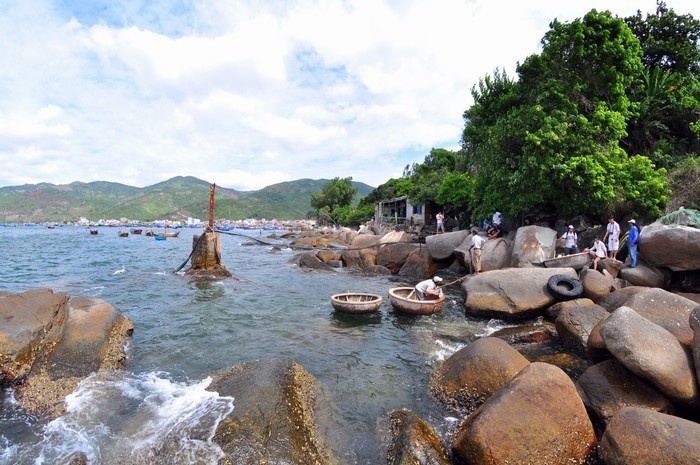 Tourism in Phu Yen has been awaken recently and rapidly increased due to its numerous tremendous natural and historical sights. 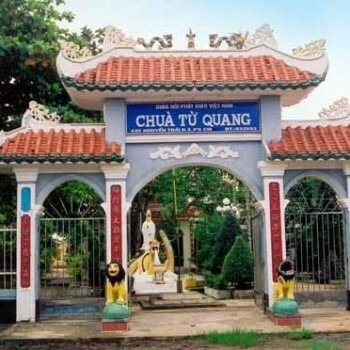 However, there is an island located in the North of Vung Ro Bay had been almost forgotten. 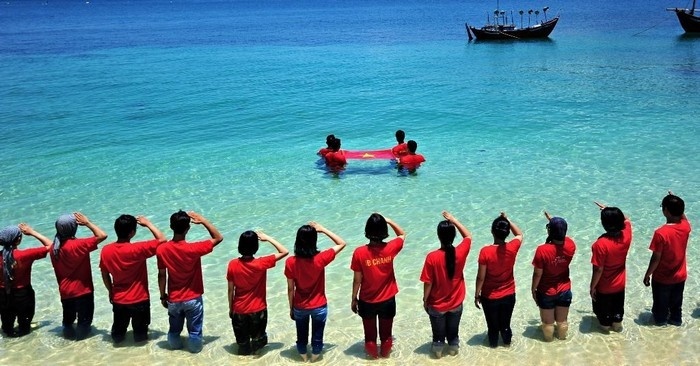 The Vietnamese wanderlust groups have just discovered it lately. 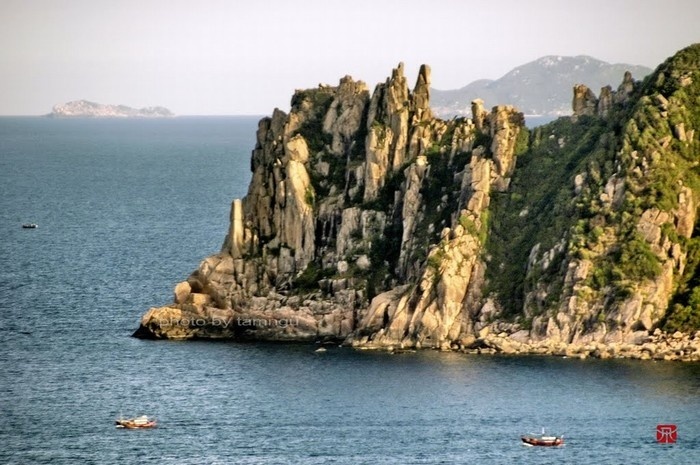 It is Hon Nua Island – an island with the height of 105 meters from the sea level and lie isolated on the sea border between Khanh Hoa and Phu Yen, an immaculate and majestic island. If you go on Ca pass (Deo Ca), you should stop for a while to observe the miracle. 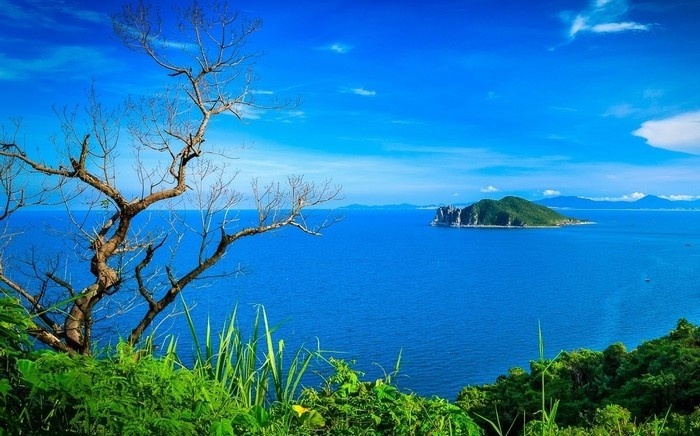 You will see one side is precipitous cliffs, one side is turquoise Vung Ro Bay embraced the pass. 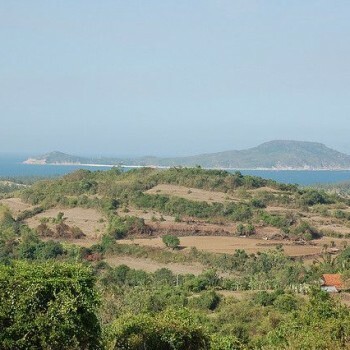 If you continue to look more carefully, you will realize a small island like a pea in the North of Vung Ro. 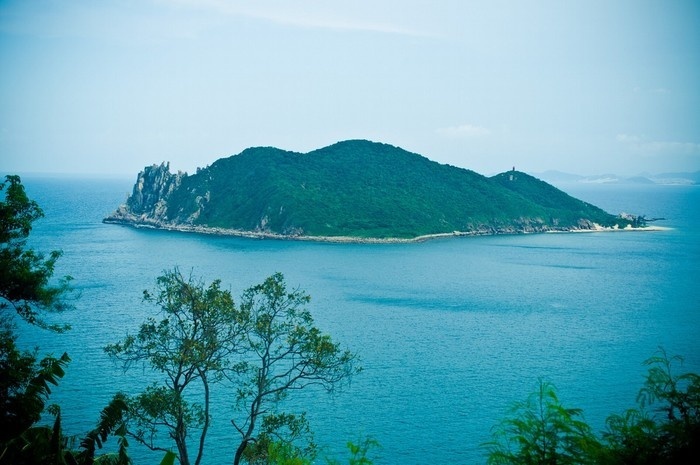 That is Hon Nua Island, one of the unusual unadulterated natural scenery that is still remained even it is several kilometers apart from the shore. It is not difficult to get in Hon Nua. You can go either by car or motorbike to Deo Ca, then contact the locals there for a return boat ride with a price of 80,000 VND/person. On Hon Nua Island, there is only one native’s house there. 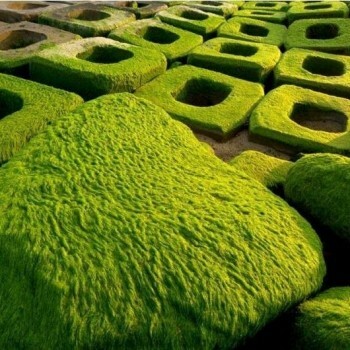 Thus, if you are passionate about the landscape and want to spend more time here, you can ask the owner for one night homestay. However, if you go with a group, you need to prepare sleeping bags and tents for camping because the house does not have enough spaces. One thing you need to note that there is no fresh water on the island and it is needed to be delivered from the mainland. Therefore, if you intend to stay overnight on Hon Nua, it is necessary for you to contact the owner of the boat you choose to prepare fresh water for you. Hon Nua has an extraordinary topography with high arc-shaped cliffs looked like that they embrace the whole fine yellow sand. The immense turquoise seawater surround huge, mighty, rough and majestic mountains. The spot here is the sea. The seawater here is still blue and crystal clear because tourism has not developed and it is still free from pollution. 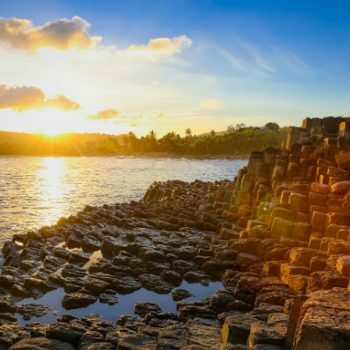 Especially, when the sun shines on the water surface, you can even see pebbles under the water, which can turn anyone surprised and captivated immediately. 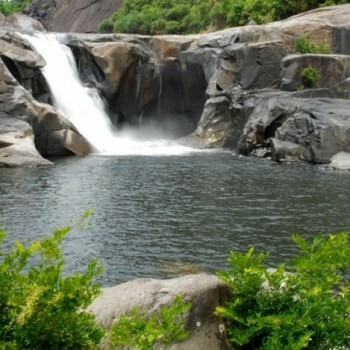 You can happily soak your bodies in the cool water, have a great time with friends in an extraordinarily epical and pristine scenery. You can enjoy the bucolic pleasures, such as: fishing. You can peacefully sit on those undulating cliffs and do some sightseeing while waiting for fishes to eat the bait. With the bumper fresh fishes you have just caught, together with some sea urchins, opihis and so on are enough for you to have a small BBQ seafood party right on the beach. 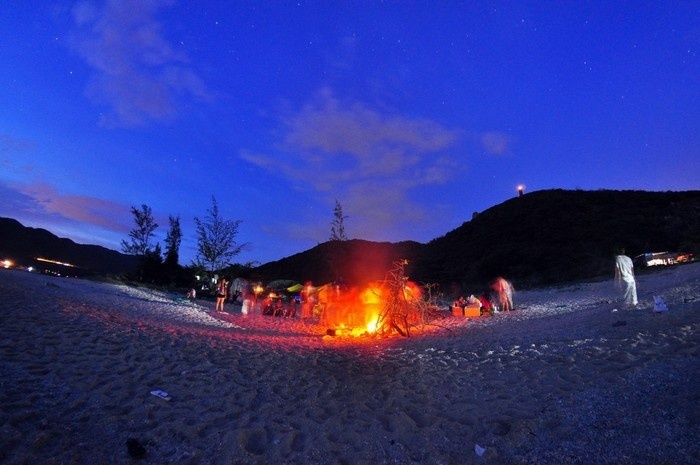 You can build a campfire and pretend to be the true Robinson on a deserted island. However, in order not to be hungry and in case that you cannot fish anything, you can stop by Dai Lanh market to buy some seafood on the way. 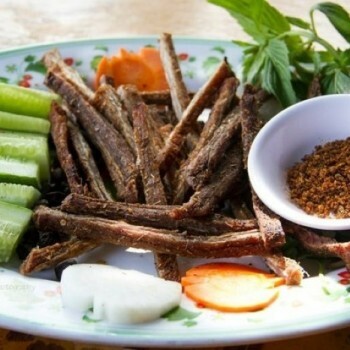 Phu Yen seafood is cheap, various and super delicious and there are various choices for you. Moreover, you might like to go snorkeling to observe coral reefs under the water. 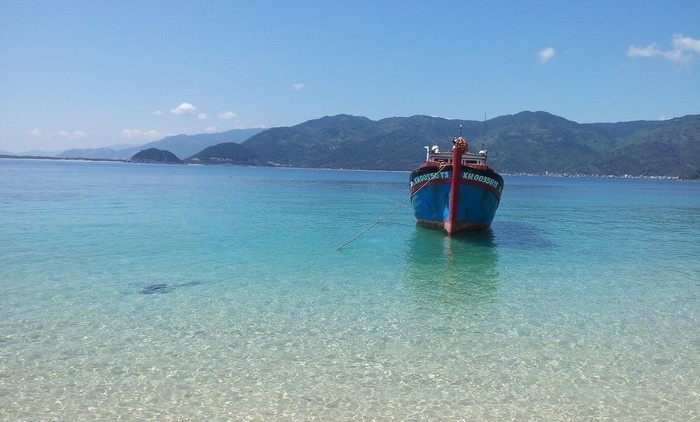 Even coral reefs here are not diverse and colorful as in Nha Trang or Phu Quoc, but they have a really unique appeal, natural and truly “Hon Nua”. 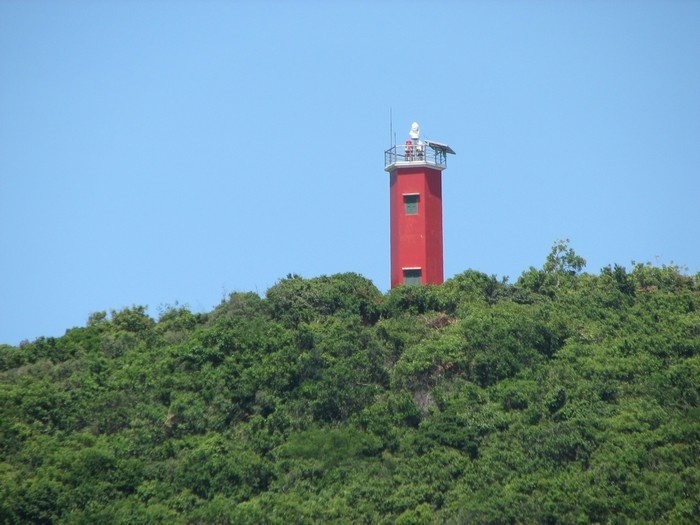 On the peak of Hon Nua Island, there is a red lighthouse to guide fishermen to come back to the shore safely. At nights, you can climb up here, lie down on the ground and count stars on the sky or just simply have a sweet dream in the cool sea breezes. Unlike the serene scenery in the south, the north side of Hon Nua are high steep cliffs, which are really sharp like they “cut” the blue sky into various shapes. You can easily catch the sight of swift nets, numerous swifts gilding around the cliffs and nesting as if wild life is being awakened. In addition, you can see some people from a Vietnamese edible bird’s nest company-Khanh Hoa-taking care of the birds. The more you go to the north of Hon Nua, the steeper the cliffs are. 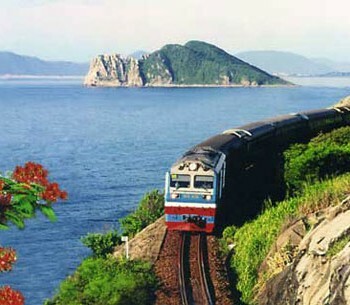 There are several cliffs that have a height up to 80 meters from the sea level. Hence, for those who love mountaineering, conquering high and sharp cliffs, this is really a great opportunity for you make it. Around Hon Nua, there are also many alluring islets. 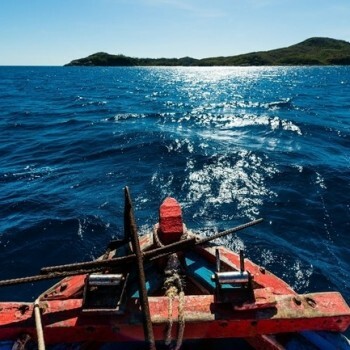 If possible, you can rent a boat and paddle around the enclosing islets to observe, definitely you can find something interesting for yourself. 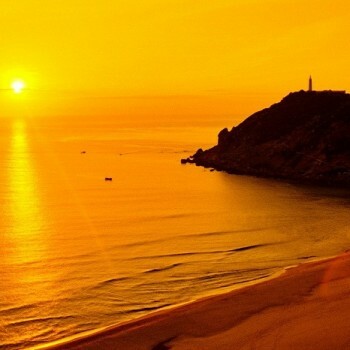 If you stay on Hon Nua for one night, you ought to see sunrise and sunset scenery. Those moments will be frozen in your mind forever because of the pure, primitive but hypnotizing view of the island. © Copyright by tour phu yen 2015.All rights reserved.